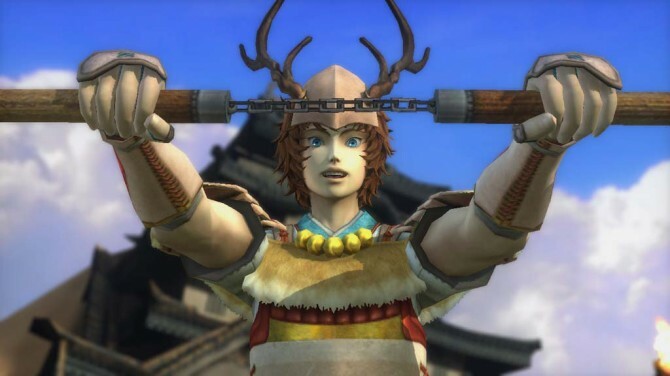 Capcom has gone on record stating that localizing games in the Sengoku Basara series – one that enjoys immense success in its homeland Japan – has not proved to be a particularly profitable endeavor for the company in the past. With the awesome looking PS3 exclusive next series installment Sengoku Basara 4 charging towards its January 2014 Japanese release date, I find it immediately important to try to appeal to Capcom, who despite being one of gaming’s oldest and most respected names is suffering on the financial front. 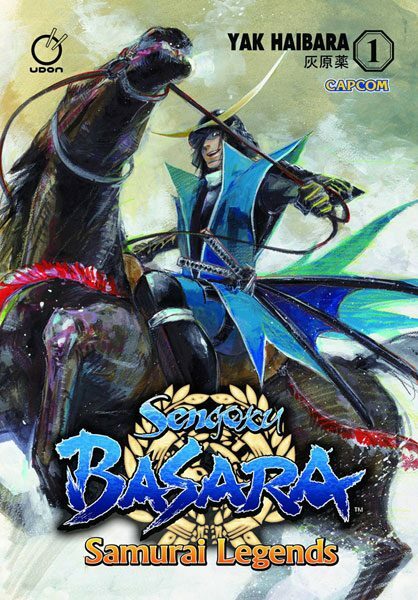 Sengoku Basara 4 looks very exciting and I’d like to express that there certainly is some sort of demand for this kind of title in the West. I’m not nearly naïve enough to think that anything I write here will have a bigger impact on the company’s decision to bring (or not bring) Sengoku Basara 4 out of Japan than sales data regarding previously localized series entries. I’m not honestly informed enough to decisively say one way or the other, but I do find it hard to believe that it would be impossible for Capcom to find some success in localizing Sengoku Basara 4. There are a few points I’d like to at least be considered. First and foremost, Capcom please check your expectations. As a publisher Capcom has gained a reputation for being rather greedy these last couple of years. I’m sure those plans to sell even more DLC contributed to said reputation. The publisher also stated that despite breaking into the top 10 releases on March’s PSN charts, the fighting game re-release Darkstalkers Resurrection hadn’t performed well enough to be successful – while of course failing to mention the significant variety of other reasons that could have contributed to the title’s supposedly disappointing sales. Games aren’t all fun and games and companies need to make money, I get that. 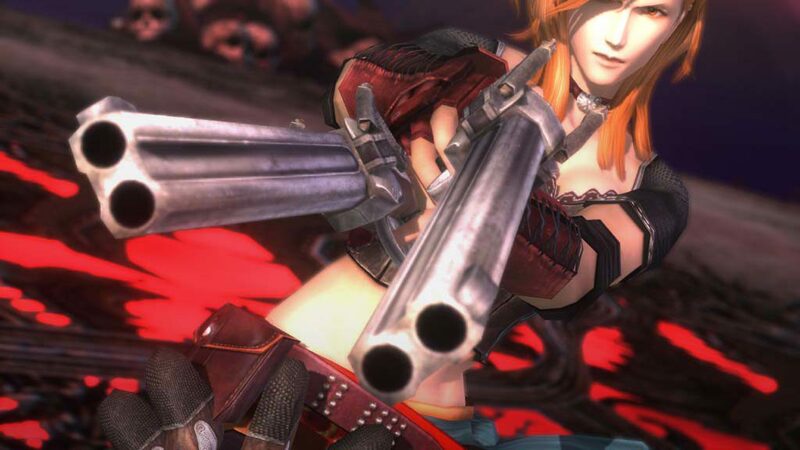 However, if by some miracle Sengoku Basara 4 does make it to the west, Capcom shouldn’t expect record breaking sales. Observe the performance of titles in similar genres like the Dynasty Warriors games. Don’t expect a debut to rival those of Grand Theft Auto V or Pokemon X and Y. Be realistic, I don’t feel like this is a lot to ask. Obviously it’s important not to spend much more localizing the game than you presume you’ll make from international sales and we’ll talk more about costs in a moment. However, to be frank, I really do get the impression that Capcom wants spectacular sales rather than pretty good sales or even just decent sales. Such an attitude will surely hinder the localization of several of their Japanese titles. It’s especially questionable when you consider that some developers and publishers like NISA, XSEED, and Aksys are able to survive almost exclusively on niche Japanese titles, without big names like Resident Evil to keep them afloat. The next thing I want to point out is that there is clearly a market for the genre. The Sengoku Basara series can be fairly compared to the Dynasty Warriors series. They both have pretty similar game-play and features, even though there are a number of noteworthy differences; I’d say that depth of combat is the most important of them. Unfortunately, Sengoku Basara doesn’t have a fraction of the brand power or popularity that the Dynasty Warriors series has amassed, nor should Capcom expect such laurels. The series’ brief stint in North America hasn’t been one of clear consistence. 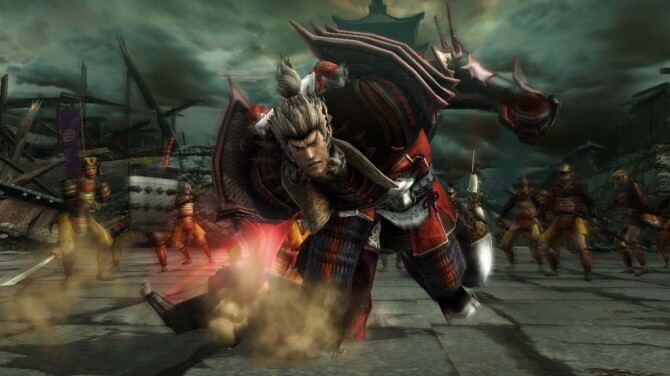 The first game in the series, which hit the PS2 back in 2005, completely discarded the “Sengoku Basara” moniker and released in the States as Devil Kings. 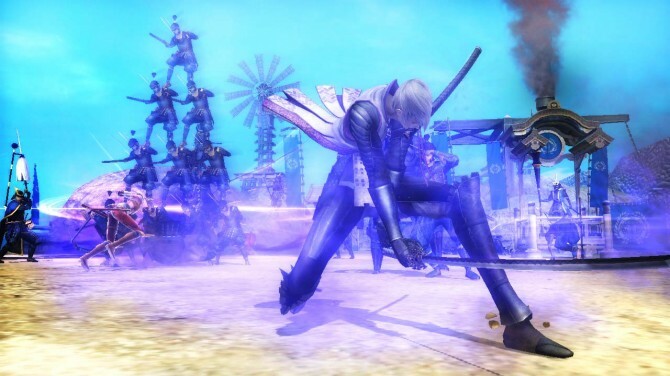 Instead of releasing under a revision of the Devil Kings moniker, the second game in the series to see a western release was released as Sengoku Basara: Samurai Heroes for the PS3 and Wii. Having a subtitle reminiscent of Koei’s Samurai Warriors may have helped the title, but continuing with the Devil Kings moniker could have at least made the game recognizable by name to fans of the first title. Furthering the potential for confusion here is the five year gap between the releases of the two games. 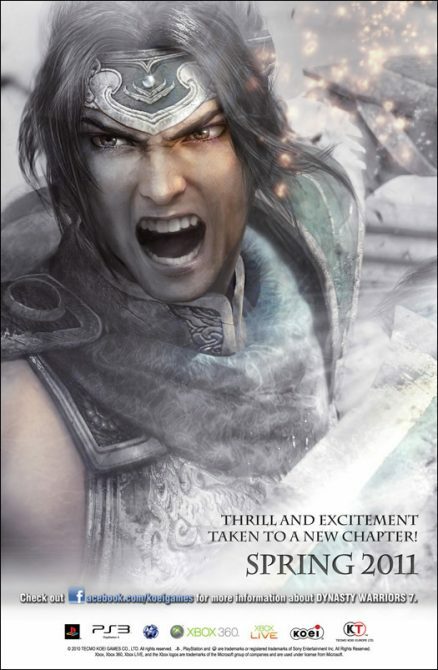 Dynasty Warriors on the other hand has always been clearly Dynasty Warriors, with numbered installments, re-releases and spin-offs all being released under the Dynasty Warriors flag. The success of Koei’s franchises should at least be an indication that there is indeed a market for these kinds of games outside of Japan. Sure, no Dynasty Warriors or Samurai Warriors title that I know of has rocketed to the top of the sales charts, but they’ve all been at least successful enough to warrant continued international releases. Dynasty Warriors, Samurai Warriors and Warriors Orochi continue to be released outside of Japan, proving that the audience for the genre, while niche, is still viable enough to make a profit off of. The Sengoku Basara series surely has some catching up to do before it can be compared to any of Koei’s franchises, but releasing two niche games with two dramatically different titles and five years between them certainly isn’t helping. Let’s talk some more about costs or money. That’s the bottom line anyways right, the almighty dollar? I think there are some vital avenues in place to help Capcom get this game on western PS3s for minimal costs. Firstly, a digital only release should be considered. Resources can be spared by opting out of physical retail releases. I’m aware that many gamers aren’t too keen on digitally purchasing games, but I’d rather have the option to buy it digitally than to have no option to play it at all (save for importing, which can get very expensive). 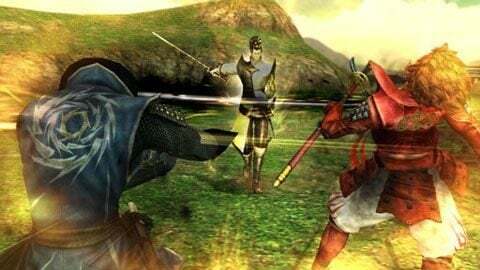 Although it did have a playable demo, Sengoku Basara: Samurai Heroes is not available on either the PSN store or Nintendo’s eShop. Capcom also failed to bring over all of the PSN avatars for the game, even though this could have been another source of profit. Something that Capcom got right with Samurai Heroes was the reduced price and perhaps they could afford to sell Sengoku Basara 4 for $40 as well if they can save money in other areas. Another thing that could be done to reduce costs would be to opt for English subtitles instead of paying for full English voicing. This is especially noteworthy when you consider the fact that many people feel very passionately about Japanese voice acting. Japanophiles swear by Japanese voicing. It’s believable that anyone who would be a fan of a relatively obscure Japanese series like Sengoku Basara would prefer Japanese voicing to English anyways, so Capcom could save money and please fans in one swoop. Give me English menus and subtitles and I’m as happy as a clam. More money could probably be made from SB4 with the DLC Capcom loves so much. In North America we got absolutely no DLC for Samurai Heroes, barring the incomplete batch of PSN avatars. A few costumes or even playable characters (this seems fairly reasonable when you consider the Japan exclusive Utage expansion) would have been a great way to keep those who bought Samurai Heroes happy and make more money for Capcom. Many niche Japanese games have a wide variety of DLC content available. Examples that come to mind include games in the Disgaea series, the Hyperdimension Neptunia series, the Blazblue series and several more. Maybe this helps contribute to their longevity. Finally, there are ways that Capcom can cut costs and simultaneously do something that they really didn’t for Samurai Heroes: promote the game. I can imagine that the budget for a game like Samurai Heroes left very little wiggle room for things like TV commercials or spreads in the biggest gaming magazines. However, in this day and age the free social media tools available to us could help create some sort of buzz for the game for pennies on the dollar. How much would it cost to do a few live streams or Twitter giveaways? Release a few trailers to YouTube or offer some petty pre-order bonus? Take the game to anime and manga conventions and get it in front of the people who are most likely to care about it. Capcom’s Chris Svensson said: “Media wasn’t thrilled, preorders were weak, word of mouth was weak which in turn drives the forecasts and resultant marketing budgets”. I can only speak for myself, but I remember seeing very little media coverage for the game (outside of our own) leading up to and even after the release of Samurai Heroes. I have a relative who is easily the single biggest Dynasty Warriors fan I know and he had no clue what Samurai Heroes was. Weak word of mouth buzz is probably a byproduct of weak media coverage, but I also don’t recall any sort of pre-order bonus being offered for the title. I’ve heard that pre-order bonuses help convince people to pre-order games. Regarding the reception, please consider that these kinds of games are simply not for everyone. Samurai Heroes’ critical reception was actually about on par with the general critical reception of Dynasty Warriors 8 and Warriors Orochi 3 Hyper. It was even more warmly received than other niche Japanese games like Hyperdimension Neptunia, which is interesting since new Hyperdimension titles are still being released internationally. On a broader scale, lots of Japanese franchises don’t fare well critically in the west, but this has never kept fans from enjoying them. 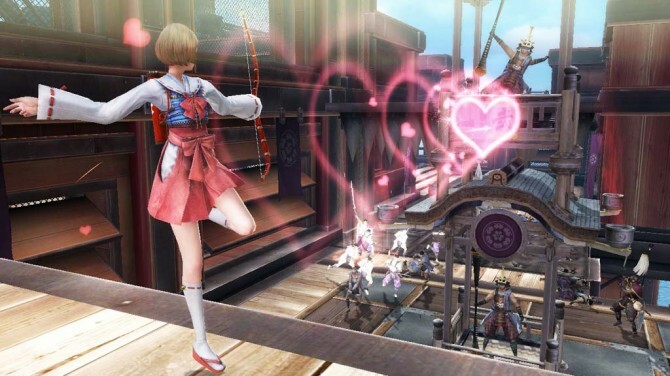 Sengoku Basara 4 is far from the only game of its kind. It has good company in the genre with Koei’s titles and on another note there are smaller companies than Capcom that make due with equally obscure Japanese titles and with even smaller budgets. I believe that by checking their expectations, cutting corners where necessary and creating some sort of buzz behind it, Capcom can profit from releasing it in the west. This year has been full of surprises. It’s okay to be hopeful since we’re already getting games like Drakengard 3, Hakuoki: Stories of the Shinsengumi and Tales of Symphonia Chronicles. Who would have thought we’d get the Mugen Souls sequel? It wouldn’t be shocking at all if Sengoku Basara 4 came over to help keep the PS3 going strong.